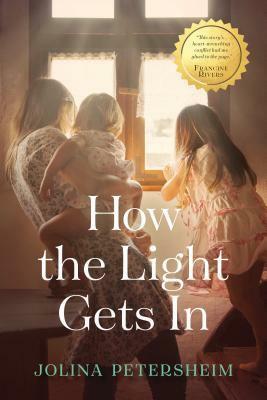 Goodreads: When Ruth Neufeld's husband and father-in-law are killed working for a relief organization overseas, she travels to Wisconsin with her young daughters and mother-in-law Mabel to bury her husband. She hopes the Mennonite community will be a quiet place to grieve and piece together next steps. Kritters Thoughts: Ruth Neufeld is in the midst of grief as her husband has been killed while working as a physician in Afghanistan. As her family life in Ireland is less than ideal she has decided to go back to where her husband is from in Wisconsin and bury him there and then regroup with her two daughters and decide what is next for them. Ruth ends up making a great life for her and her daughters in Wisconsin and a future starts to look bright and clear when she is thrown a curveball and has to make a major decision. There were times in this book where I loved it. I loved the internal battle that Ruth had and the really tough decisions that she was making that not only impacted herself but also her daughters. I loved the struggle for happiness but also safety and security. It all worked for me until the end. Now I pride myself on keeping this blog mostly spoiler free so I will dance around the ending and my thoughts hopefully without giving too much away. The ending took a twist that I wasn't prepared for and for me destroyed the book. I would have preferred the last chapter be left out and for me the story would have been amazing right then and there! I just couldn't with it and I was so upset as to where it took the story. My reading of this book will not keep me from reading this author again, I liked her characters, setting and storytelling, it was just the ending that blew it for me.